McEachran Hall: the administrative nerve center. 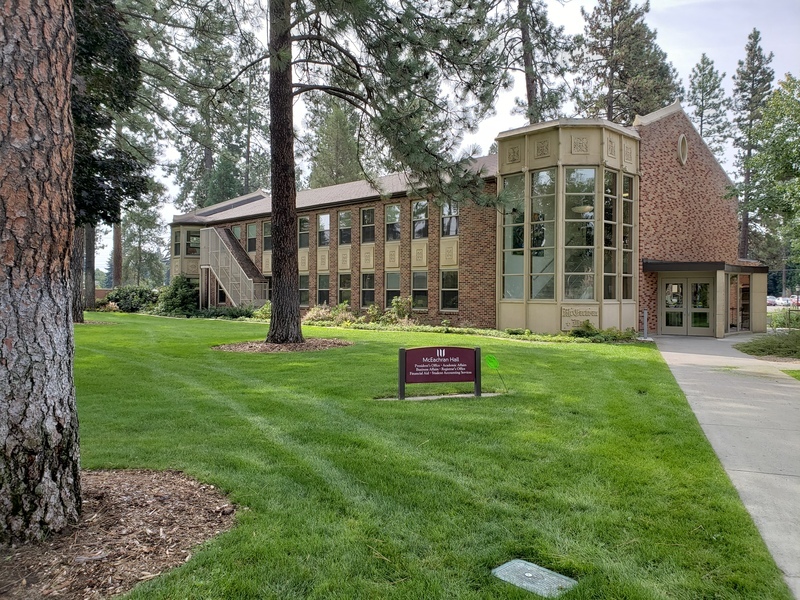 McEachran Hall serves principally as the current administration building at Whitworth University. The building is also home to the office of the university’s president, Beck Taylor. Students come here when they need help with the admissions process, financial aid, or the registrar's office. The building also houses the academic affairs of staff including the provost, Dr. Carol Simon. Whitworth College in the early 1950’s, passed a proposal for four new buildings and many with new updates. McEachran Hall was lucky enough to be one of those new buildings. McEachran Hall was designed by the architectural firm Funk, Molander, and Johnson and cost $600,000 to build. McEachran was the second building on campus to include some sort of fire-proofing. On November 7th 1952, the dedication service was held. 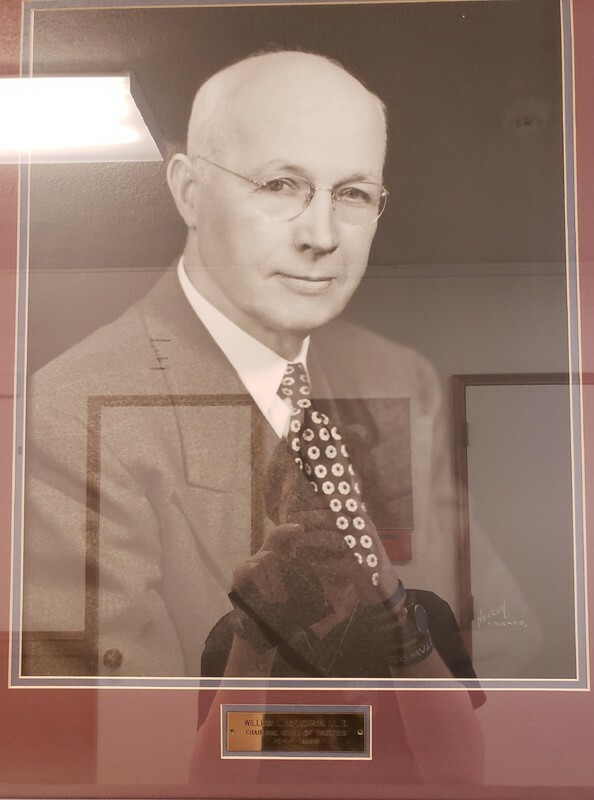 Trustees decided to name the building after one of their own and selected William L. McEachran who had been a trustee for more than 25 years. He went on to serve for twelve more years until his retirement in 1959. President Frank F. Warren, said, “No words written or spoken can possibly express the deep gratitude that all of us have for W. L. McEachran. A bulwark of strength, a friend of all the presidents and one who put the college and its interests above everything else in his life. 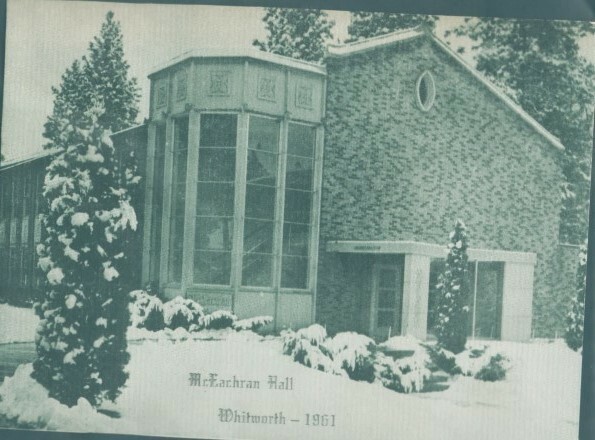 It is safe to say that without his leadership these many years, Whitworth would have been hard put to weather the storms of adversity.” It was later announced that McEachran was voted in as Chairman-Emeritus of the Board. McEachran was known for many contributions but during the 1930s he helped in unusual ways. When salaries for faculty were pitiful and sometimes not paid, McEachran, who owned a chain of 40 food stores, often donated groceries for the dining hall and put bags of groceries together for families of faculty until they could be paid. ,” Spokane Historical, accessed April 19, 2019, https://spokanehistorical.org/items/show/790. Whitworth University Archives. McEachran Hall (Administration), 1955, Box 2, Folder 14, Buildings/Building Dedications.